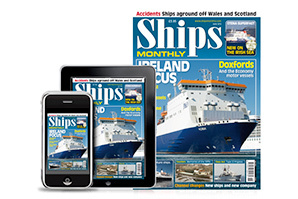 In this issue of Ships Monthly we have reports on various new ships that are making waves because of their size. Shipowners and corporations are looking to build bigger and bigger vessels, the main benefit of which is a lower unit cost. Of particular note was the recent naming of the new container ship CSCL Globe, which has a capacity of approximately 19,000TEU and takes the title of world’s biggest container ship from the Maersk Triple-E ships. 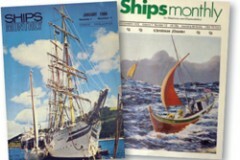 But Maersk are not resting on their laurels, and are set to build even more ships in the Triple-E series. As well as container ships getting ever bigger, with speculation that a 24,000TEU vessel is on the cards at some point, cruise ships are also increasing in size. Those ships such as Oasis of the Seas, featured last month, can carry upward of 5,400 passengers, while newbuilds like Quantum of the Seas take ‘only’ 4,100. But these boxboat giants, and indeed the massive cruise ships, are almost dwarfed in comparison to Pieter Schelte, which measures 382m by 124m and is basically two ships joined together. With a lift capacity of 48,000 tons, she is intended to service oil rigs, and will be examined in depth in a future issue of SM. While the same goes for new ferries in terms of size, with CalMac about to introduce its new 7,800gt flagship Loch Seaforth as a larger and more capacious craft on the Lewis route, this is in stark contrast to the two Folkestone ferries featured in this issue. Hengist and Horsa were Channel favourites for many years, but the 5,596gt pair measured just 118m in length and, by modern standards, are tiny.